Bringing someone into your home to treat your family for a lice infestation may sound like a convenient choice. But there is a lot to consider before calling a mobile lice treatment service. Let’s lay down the facts regarding the differences between professional head lice treatment clinics and mobile services. When your entire family is infested with lice, time is a big factor in the price for at-home services. Mobile treatments are notorious for charging by the hour for a single head lice technician. When coming into a head lice clinic your entire family can easily be treated at once by multiple technicians, saving you time and money! Simply put, our exclusive, FDA-cleared AirAllé devices are superior to all other head lice removal methods. The treatment is fast, safe, effective, and there are never any pesticides or toxins used. In-home mobile lice treatments notably use OTC head lice treatments that pose real health risks and require follow up treatments. The AirAllé process is a single treatment that takes about 90 minutes. No follow up necessary. All Fresh Head’s salon chairs are selected with your comfort in mind during our professional treatments. At-home treatments, with their oils and shampoos, are performed in your own personal furniture in your house… Do you really want to be sitting on your own furniture while having lice removed? At Fresh Heads Head Lice Removal clinics we provide the highest quality lice removal services to our clients. Our clinics are stocked, well-lit and provide multiple treatment options performed by trained technicians. It is essential that the treatment environment is conducive to both the head lice technicians and the clients. Every Fresh Heads client can relax knowing they are receiving the highest level of care and never have to worry about cleaning up. Mobile lice treatments have to navigate through traffic, making their appointment times hard to guarantee. They are working with a limited number of supplies and a smaller team (if they aren’t going solo). Aside from this, the lighting in your home might not be the best to see all of the louses and nits, and you might not have the space and seating needed. Because there’s an ample supply of materials and technicians, a technician in a clinic will not be rushed, they will be equipped and not rushed. This means they can go through the proper steps ensuring lice removal is complete. Mobile service providers balance multiple clients, bouncing from one house to the next trying to make it to appointments on time. This increases the chance of slip-ups from feeling rushed. Mobile treatments and head lice clinics are an entirely different experience. At Fresh Heads Lice Removal Centers we offer the most effective head lice treatment available in a clean, comfortable environment with fixed prices, no follow up treatments necessary, and a 45-day guarantee. We also have unique offers like our lifetime protection plan. We take lice removal seriously! There’s no mess in your home, you can set appointments around your schedule (no more hoping someone shows up on time and gets the job done quickly! ), there are no surprise expenses, and there is absolutely no follow up necessary. Contact us today to schedule an appointment at one of our 4 convenient locations and experience the difference at Fresh Heads. 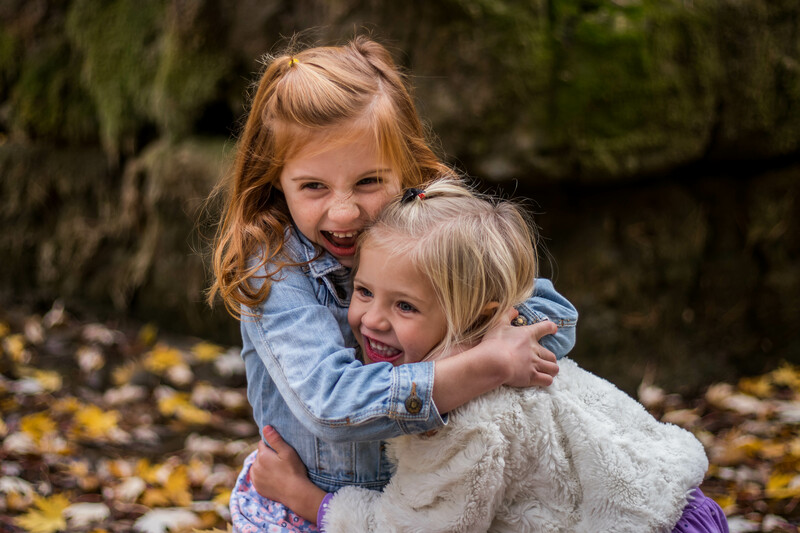 Everyone has probably asked the common question: “Can head lice jump?” Whether you are worried about catching head lice or a parent fretting that your kids might get an infestation from a schoolmate. Let’s put these concerns to rest through facts – and know when powerful lice removal is necessary. No, head lice do not jump from one person to another. Instead, they spread from head to head contact – this is the primary way lice spread to new hosts. So, these include vectors such as kids playing with lice-infested children, or an adult dozing off in a bus and brushing against someone else with head lice. Wearing hats and clothing used by people who have lice is relatively low-risk. According to the CDC, it’s uncommon to catch lice by wearing clothing, hats and other attire worn by someone with an infestation. The same goes for combs, brushes, and towels. Even beds, carpets, pillows and couches are also low-risk. It is best not to share such items, but it is not a major risk. These items can be disinfected to eliminate all risk. Combs and brushes can be soaked in hot water for 5-10 minutes. Clothing can also be machine washed with hot water and high heat drying cycle. Lice need to travel from one person’s hair to another. They don’t care if someone’s hair is long or short, clean or dirty – It’s all fair game. You cannot catch lice from animals. When head lice detached from the hair and scalp, they can only live for up to 24 hours before they die. Lice and their eggs can withstand strong dye treatments. Home remedies may not be the most powerful lice removal methods or the most effective. Hopefully, this information will help lessen unnecessary fears and help guide you towards more accurate assessments based on actual facts. 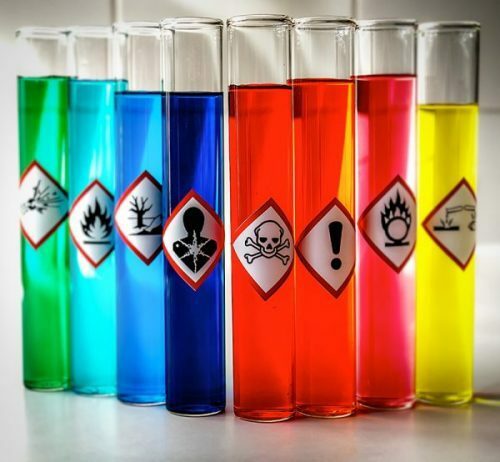 After all, mistaken conclusions might lead to unnecessary treatments – which cost money and can result in unneeded exposure to powerful chemicals or medication. Unfortunately, this happens to a lot of children. When in doubt, consult a lice professional. If you suspect you have an infestation or worried about someone you care for, then contact Fresh Heads Lice Removal. We have various powerful lice removal methods, which are highly effective yet don’t depend on potentially toxic chemicals. We guarantee a thorough job in detecting and eliminating the parasites. Schedule an appointment today so we can get your scalp and hair cleaned up in no time! Does getting your hair dyed count as head lice treatment? We get this question from a lot of people who come our lice treatment centers. After all, when you’re getting your hair dyed, you can smell the strong scent of the hair-coloring chemicals and even feel it on your scalp. It’s powerful stuff. Could lice survive that kind of bombardment? It seems like just the thing that’d wipe them out, but is it actually effective? Can Hair Dye Kill lice? Even if head lice were proven to be able to kill head lice, their eggs are another thing entirely. Laid at the base of hair shafts against the scalp, there is a protective encasing around lice eggs. They are incredibly resilient and hard to kill, even with chemical head lice treatments. Even if all the adult lice are gone, the eggs will just hatch and spawn a new generation of crawlers. Female lice lay up to six eggs every day for about 30 days. If you kill one after four days, that’s 24 eggs waiting to hatch that the hair dye has no effect on. Not even medicated shampoos that kill adult lice can kill eggs. They require more thorough treatments. Hair dyes won’t kill eggs and prevent head lice reinfestation. Not only that, but the harshest dyes are not suitable for kids who are most at risk of head lice infestations in the first place! For adults who want a new look, go ahead – lice or no lice! But in order to actually eliminate head lice and their eggs, and for all cases of lice involving children, it’s best to seek a specialized treatment that’s thorough, safe, non-toxic and effective. That’s what we’re here for. Contact Fresh Heads Head Lice Removal Center today to schedule an appointment for our completely natural, chemical-free head lice treatment. It’s proven effective at killing lice and their eggs in a single treatment. https://freshheadsliceremoval.com/wp-content/uploads/2018/07/a-woman-having-her-hair-dyed.jpg 533 800 FreshHeads https://freshheadsliceremoval.com/wp-content/uploads/2018/04/FH_LCA_Logo-1.png FreshHeads2018-07-25 11:35:132018-10-01 16:54:29Does Hair Dye Kill Head Lice? 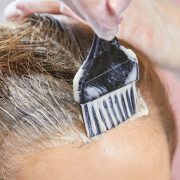 Fresh Heads lead technician, Theresa, shows you how to comb out head lice at home with a Nit Free Terminator Comb! It’s natural for parents to be concerned when their child has head lice. They are itchy, bothersome and can be difficult to get rid of. However, the bugs themselves don’t pose too much of a health risk. Chemicals found in common head lice removal treatments are the real risk of lice, sold at your local drug store. Here’s what you need to know about toxic over-the-counter treatments before you treat your child for head lice. Research has been clear—pesticide style head lice treatments of yesterday are hazardous to your child’s health. They typically contain dangerous synthetic chemicals called pyrethroids. One recent study in the Journal of Occupational and Environmental Medicine found that exposure to certain pyrethroids at environmental levels may negatively affect neurobehavioral development by the age of six. The chemicals most commonly found in OTC lice treatment products are permethrin and lindane. Both chemicals have been proven to be toxic. Here’s more information about these two disturbing ingredients and some of their alarming side effects. Lindane is a dangerous chemical that attacks the nervous system. Known to cause cancer. And it’s found in OTC head lice removal products. The FDA has recommended using extreme caution when using lindane on anyone under 110 pounds—which would include most school-aged children. Don’t Risk It. Choose Fresh Heads Lice Treatment Centers. When the risk of head lice removal is worse than the head lice itself, what’s a parent to do? Simple. Choose a nontoxic treatment option like those offered at Fresh Heads. Not only are our treatments safe, they’re also far more effective since head lice have built up a resistance to old-school pesticide-based treatments. Our signature treatment—AirAllé—was specifically designed to dehydrate lice and their eggs with warm, heated air. It’s FDA-cleared and has been proven to be safe and effective at killing lice and their eggs—it’s rate of efficacy is 99.2%! That’s a much higher rate than OTC head lice removal products. With AirAllé, we can safely and comfortably treat your child for head lice in about an hour. It’s fast, easy and so effective. It’s backed by our 45-day retreatment policy. If your child comes home with head lice, call Fresh Heads for no-risk treatment you can trust. Dealing with head lice can be a major headache for the entire family. According to Savannah head lice removal company Fresh Heads, head lice are relatively harmless. But they can be a hassle to get rid of and may even put a kink in your plans. One family found this out the hard way. Clay Travis, his wife and their three children were returning home from Paris on a Delta Air Lines flight. Instead of making it home to Nashville as planned, they were in for quite a rude awakening. The crew suspected that their six-year-old son had head lice, and they made a rather extreme decision. The Delta staff decided to abruptly reroute the flight, landing in Minneapolis. They then had the entire Travis family quarantined on the plane by airline staff. The family was examined and it was confirmed that their son had lice. They were prohibited from boarding another Delta flight until he received head lice treatment. The airline’s response to this situation has been widely criticized, and it does seem a bit extreme. It’s also troubling that Delta Air Lines doesn’t appear to have a clear policy on passengers with head lice to have guided their decision. They say they were looking out for the safety of their passengers and crew. (Here’s where it’s good to remember that head lice are pesky critters, but they are generally harmless.) 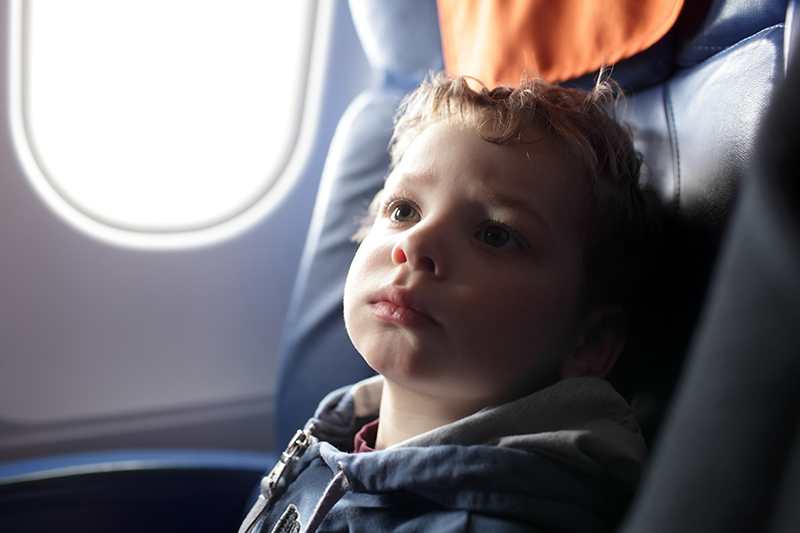 While it is technically possible to contract head lice from an airline seat, the risk is overall quite low. One thing the family may have learned is that they shouldn’t have depended on over-the-counter head lice treatments. Travis admitted that since his sister’s children had recently had lice, he treated his kids with “all of the over-the-counter remedies out there” before departing for their vacation. Unfortunately, that didn’t quite do the trick. Natural, chemical-free head lice treatment is always the best option. Not only are over-the-counter head lice remedies less effective, they are also extremely toxic and hazardous to your family’s health. Savannah head lice removal center Fresh Heads prides itself on offering strictly non-toxic head lice treatments. Fresh Heads also offers traditional comb-outs and a complete range of all-natural products, including DIY treatment kits and preventative care. For safe and effective head lice removal in the Savannah, Jacksonville or Orlando areas, you can count on Fresh Heads to keep the hardship out of head lice. Call us today schedule an appointment or to learn more about our treatments and products. Keep the Fun in Halloween by Keeping the Head Lice Away! With Halloween right around the corner and little ones enjoying dressing up in costume, masks and wigs and such, we thought it the opportune time to remind our readers how lice are spread and some tips for preventing lice transmission so your kids can enjoy this fun time of year lice free. Lice are almost always caught by another person, usually children. This can be from head-to-head contact like when sharing a bed or playing in close proximity. Contrary to popular misconceptions, lice are typically not spread by sharing items. Head lice must feed on human blood in order to survive. An adult head louse will die within 24 to 48 hours of being off a human head. Nymphs can only live for several hours without feeding. Nits must be kept warm by the scalp, and are therefore not viable when off of a human head. For all of these reasons, it is not very likely that lice will spread by way of inanimate objects. However, it is not impossible, and therefore basic cleaning of bedding, carpets, upholstered furniture, hairbrushes, stuffed animals, hair ties, and clothing should be done whenever head lice are found in the home. Can Lice Jump From One Person to Another? No. Because lice cannot jump or fly, they crawl from one person to another, using their claws to grab onto hair. Head lice can’t survive more than a day or so without a meal of blood so those “on the loose” will soon die off. Because 50 percent of the time people get infested with other family members, make sure everyone in your family gets checked (and if necessary, treated) when any family member has lice. There are lice repellant products on the market that contain essential oils that lice don’t like to smell. In vitro tests show lice will stay away from essential oils used in those products. Can I Get Lice From My Pet? No. Lice do not live on animals. Pets play no role in the spread of head lice. If you know of an outbreak in the area, avoid sleepovers and slumber parties until the outbreak clears up. Machine wash and dry, at high temperatures, any bedding, and clothing used by anyone having lice. Call Fresh Heads in the Jacksonville and Orlando areas for head checks and if needed, speedy and efficient removal of all lice and nits. 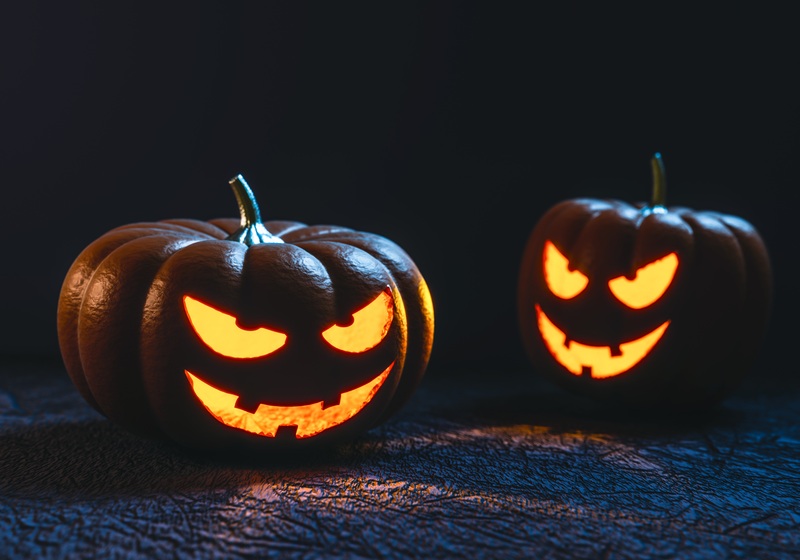 Follow these tips and you’ll be on your way to a happy and head-lice free Halloween! https://freshheadsliceremoval.com/wp-content/uploads/2018/04/FH_LCA_Logo-1.png 0 0 FreshHeads https://freshheadsliceremoval.com/wp-content/uploads/2018/04/FH_LCA_Logo-1.png FreshHeads2016-10-20 10:28:332018-10-01 16:38:27Keep the Fun in Halloween by Keeping the Head Lice Away! Do Pesticides Kill Head Lice? Sorry! Head Lice have become incredibly resistant to over-the-counter pesticides and prescription pesticides. In November 2013, Fresh Heads Lice Removal participated in a nationwide study led by scientists at the University of Massachusetts. The study wanted to gauge just how resistant head lice are to these pesticides. The results were astounding and clear: Every single bug that Fresh Heads Lice Removal sent for the study (and we sent hundreds!) was completely resistant to over-the-counter pesticides. Even prescription pesticides are largely ineffective, particularly on the nits. Further, these treatments are toxic and can be very expensive. https://freshheadsliceremoval.com/wp-content/uploads/2018/07/a-woman-having-her-hair-dyed.jpg 533 800 FreshHeads https://freshheadsliceremoval.com/wp-content/uploads/2018/04/FH_LCA_Logo-1.png FreshHeads2014-08-07 21:50:442018-11-07 13:40:22Do Pesticides Kill Head Lice? Over the years, people have used a variety of methods to treat head lice infestations. Most of the treatments have been pesticide-based products. Permethrin(1%) or pyrethrin products are sold over-the-counter. Permethrin(5%), malathion(0.5%0) and lindane(1%) products are sold by prescription only. As pesticide resistance and superbugs grow, the dangers of using chemical head lice treatments are being examined. Researchers are finding that reliance on the harmful pesticides leads to repeated use and ongoing infestations. Repeat use of toxic pesticide-based products can have traumatic effects. The eyes and skin can be affected. Allergies can be aggravated. On persons whose immune systems are already weak, including those with epilepsy, brain tumors, asthma, cancer, or AIDS, the effects can be life-threatening. Pregnant and nursing mothers should avoid the use of pesticide-based products. It is evident that there is a tremendous need for non-toxic treatments that are both safe and effective. Fresh Heads Head Lice Treatment Center is at the forefront in the use of non-toxic head lice removal and prevention methods and remedies. • Our FDA-cleared AirAllé™ device uses no suffocation products, pesticides, lice combs, or herbal lice remedies. The AirAllé™ uses large amounts of rapidly blown dry, heated air to dehydrate, dry out, and, as a result, to kill lice and eggs. • Our clinically proven Peppermint and Tea-Tree Louse Away Shampoo are 78% organic. Our clinically proven Louse Away Conditioning Spray is a 95% organic leave-in conditioning spray. Louse Away products are infused with natural essential oils famous for their anti-insect properties. They are sulfate-free. • Our Lice-Sense Lice Killer exterminates lice in seconds. The silicone-based product is non-toxic and works by suffocating the lice. Our enzyme-rich Lice-Sense Combing Solution breaks down the stubborn glue that binds nits to hair. Spray, wait 20 minutes and comb out the nits. For more information about Fresh Heads Head Lice Treatment Center, our services, and our products, please contact us at (904) 863-5022. Visit the Larada Science website at www.laradasciences.com for more information on the AirAllé™ device.